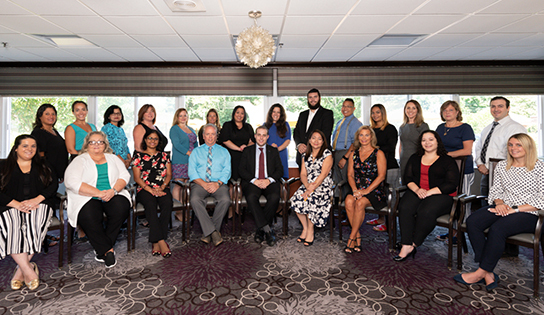 The Grand Pavilion for Rehabilitation and Nursing at Rockville Centre is Long Island’s premier location for short-term rehabilitation and long-term nursing. Renowned for our warm atmosphere and our exceptional standard of care, patients and residents enjoy the finest amenities and a uniquely personal level of attention. When it’s time for you or a loved one to receive long-term care, it’s important to make sure that the place you choose offers personal care in a warm and loving environment. The Grand Pavilion has earned a reputation over the past 40+ years for its exceptionally friendly staff and excellence of care. With private and semi-private rooms available, and a variety of amenities and leisure activities provided for your pleasure, including our own Concierge, you and your loved one will feel comfortable, secure, and pampered with care. The Grand Pavilion for Rehabilitation and Nursing provides the highest standard of care and the most advanced healing and rehabilitation services available for residents of Lynbrook, NY. Lynbrook is a village in Nassau County, New York, USA. The population was 19,427 at the 2010 census. The area currently known as Lynbrook had other names, including Rechquaakie (originally), Near Rockaway, Parson’s Corners, and Bloomfield. It was later named Pearsall’s Corners, after Mr. Pearsall’s General Store because this store became a famous stage coach stop for travelers coming from New York City to Long Island. Alternately, it was called “Five Corners” because the stage coach stop was at the crossing of Hempstead Avenue, Merrick Road, and Broadway. It became known as Lynbrook in 1894 and the village was incorporated in 1911.